Before undertaking a project of website is important at first to visualize your objective audience and then you will develop a site that will enjoy them.You should take care to something as an image which your organization want to introduce to your potential clients. If it is important for you to have not simply web site, but a site developed to satisfy all your requirements and to be competitive to others, your can confide to the team of "Golden3angel", we will answer all your challenges on the way you are worthy of. Let you get to know some principal things, which one professional developed website has to own. This is the key to your successful website. The design of your internet side build up the initial opinion of the users for you. It must be unique to impress. The users always have a preference for simply and style design. It must be worked out so that the users would not only visit your site but they do it again and again. We exactly do this. And we do it on the best way for you. The principal function of the internet sides is the search for information. Therefore should be build up a good navigation, which makes easier to find quickly this what the users search. An easy for use web site with original contents will help to your organization to involve much clients. Without good navigation you can easily lose each user of yours. Don't forget that if the users don't find what they search clicking three times they will give up your site instantly and visit it anymore again because they will find one of the hundreds websites which conforms on what they search. 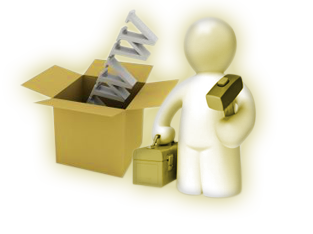 - A good structured website, so that at each moment the user should know where he is. It is an important stage from the work out of website. The SEO optimization is in short applying of technics with their help a website is situated better in the results of the searching. Here you can read more about the SEO optimization. For us is important to answer all your expectations that is why we are developing products of them you will be proud.